Mark Haysom breaks into a smile as he recalls a recent trip to a printing firm in Suffolk. For someone who has spent most of his long career at the heart of the newspaper industry, the whirring sound of the giant presses is nothing new. But this particular visit was a milestone for him. After spending decades nurturing an ambition to write a book, his debut novel was finally coming to life in front of him. 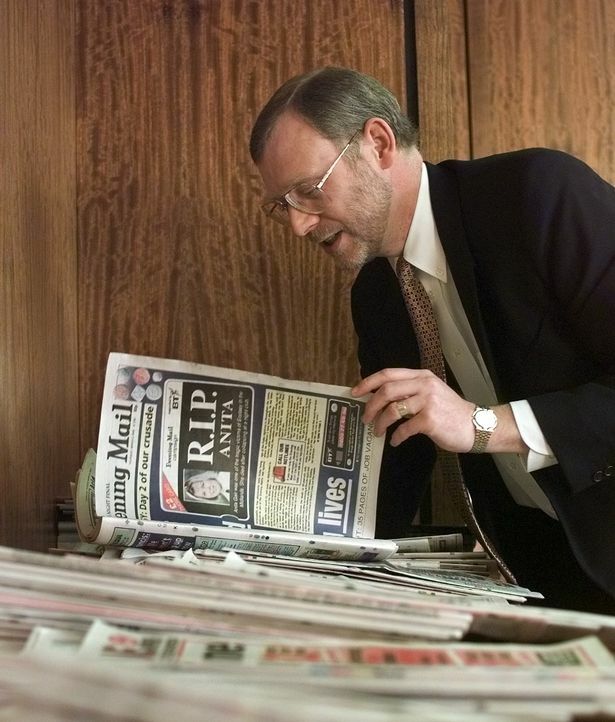 “It was almost too much, especially as an old newspaper man used to seeing newspapers rolling off the presses,” says Haysom, who was managing director of the Western Mail and South Wales Echo for seven years before taking up the same role for Trinity Mirror’s national newspaper titles. Months on, it seems that Haysom still cannot quite believe that the paperback with the psychedelic cover on the table in front of us – Love, Love Me Do – is his own work. But not only is it a reality, it was snapped up by publishers Little, Brown Book Group just hours after his agent sent them (and several other publishing companies) the draft. “She sent it out at 4pm on a Tuesday and gave them two weeks to come back,” says the 61-year-old, who made some previous writing attempts while still holding down a demanding full-time job. He was at the Brighton home he shares with his wife Ann when he received the call about his two-book deal. Initially available overseas, in countries including Australia, South Africa and New Zealand, Love, Love Me Do was published in the UK in September. Set during a single day in 1963, it features five characters and explores what happens after chancer Truman Bird moves his family from their home in Brighton to a dilapidated caravan in the Ashdown Forest – and then disappears. “The book started with a childhood memory,” says its author, who was born in the Kent seaside town of Margate but spent his childhood years living at various locations in southern England. “Part of the book is about a family which leaves home suddenly and ends up living in a caravan in the middle of nowhere. The small boy goes back with his father some weeks later to revisit the family home – that’s one of the things that happened to me as a child. “One day when I was about seven, we just went from the house we were living in in Margate – my father, my mother, two sisters at that stage and myself. My mother was pregnant with my third sister. We just left the house and went. “To this day we don’t really know the ins and outs, but there was some financial crisis in my family’s life. We ended up in a caravan in a field in the middle of nowhere. “Some weeks later I went back one day with my father and it was how it’s described in the book – stripped bare with broken toys on the floor. “I started [the book] with that setting in my mind and worked the story around that, although the story that weaves around it is nothing to do with my family or me. “I started to think about how they might have got there,” he says, explaining the narrative. So why did he choose to set the story during the course of one day? “I was really interested in the form, not just the story,” he explains. “I liked very much the idea of having five different viewpoints and five different voices, although one of the voices doesn’t speak. I liked the idea of telling it seamlessly from different perspectives – each is picking up the story and passing it on. “Hopefully it seems seamless and compelling. I wanted it to have a lot of energy which flows and I think it does. I liked the idea of trying to capture a huge amount of life within a day. Haysom admits it’s difficult choosing his own particular favourite. “Some were more difficult to write than others. In many ways, the most important character in the book is the mother and so much happened to her, but she was inevitably one of the more challenging voices to capture. “But writing the father, who is a piece of work, was something which came very easily,” he smiles. What about the voice of the child, whose story was sparked by his own childhood memory? As for the era, Haysom says he deliberately set the book in 1963 because it was a “remarkable” time in history. “They say the ‘60s started in 1963 and started with this song,” he says, pointing to the title on the cover of his debut novel, which is named after the famous Beatles hit. He’s already written the sequel to Love, Love Me Do, called Imagine. Set 10 years later in 1973, it’s due to be published next September. But this time the drama unfolds during the course of a week. For Haysom, books have always been in his blood. “When I was a boy growing up I read everything. I was an absolute passionate reader. I think reading’s contagious and I caught it from my mother. From when I was tiny she always had her nose in books. She was a real bookworm and still is at the age of 85. He studied English at university in Leicester. After starting out on trade magazine Retail Newsagent, he became a journalist on a weekly newspaper in Grimsby. At just 25, he was editor of a weekly newspaper series and he then began moving into newspaper management, firstly as editorial director and then managing director. For seven years from 1992 Haysom was MD of the Cardiff-based Western Mail & Echo Ltd.
At the time he lived in Eweny, near Bridgend, and loved every moment of it. “It was the longest time I’d stayed anywhere. My seven years in Wales were undoubtedly my happiest in newspapers – and arguably the most important years in my career. He later worked in Birmingham and London and was managing director of the Mirror Group when Piers Morgan was editor of the Daily Mirror. Haysom left newspapers behind in 2003 and spent six years running the Learning and Skills Council, which funded post-16 education. 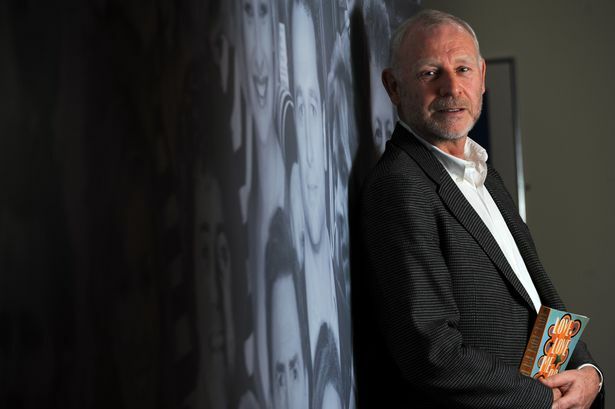 Throughout his career, the dream of writing never left him and when he left the Learning and Skills Council in 2009 he started writing seriously. However, after securing a literary agent, he was well on his way to his two-book deal. Haysom writes at his study at home and is clearly enjoying every moment. “I had a career I couldn’t have possibly have dreamt of to begin with, a very busy life surrounded by big teams of people, and I now have a solitary job and I love it. “To do the job I did you have to have an extraordinary work ethic and self-discipline and that’s exactly what you need in the writing business. I start at 8am every single morning and work until 1.30pm. I try and write 1,000 words. Some days it’s 1,000 words and then I have to tie it all up the next day, and others I write 2,000 words and edit it that day. I think coming to it late has helped me. It may be some months before book number two is published, but Haysom is already starting on his third book, which is set in 1984 and is a completely new tale. “It’s a story which hopefully reflects the most turbulent of turbulent years – it was the Miners’ Strike and Thatcherism was beginning to really hit. The Child Abduction Act also came into force and that’s a part of the story. While he has now achieved his ambition (and more) it seems the unassuming and softly-spoken Haysom is still pinching himself – after all, this has been a long time coming. “To publish a book was always the dream,” he adds. Leave your email address and Mark will be pleased to send you an alert when each new Blog appears.